It’s just a few inches long and weighs 3 ounces. 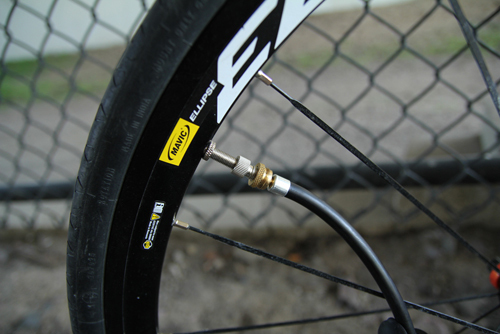 But the Air Smith ALX pump from Planet Bike can inflate a tire to 80psi or greater in a couple minutes. I’ve long looked for a portable bike pump that fits in a jersey pocket and can fix a road-bike flat without too much hassle. The Air Smith ALX, new this year for $24.99, is close to perfect. The killer app is its flexible hose. A length of rubber hose extends out of one end, and it connects to a tire valve. 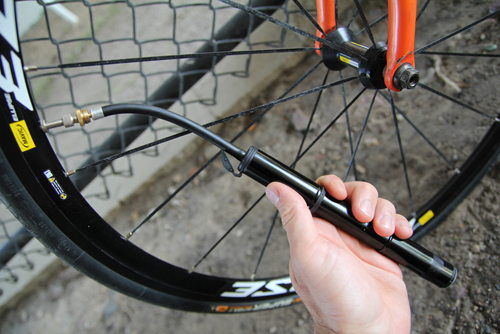 As you pump to inflate, the hose gives a bit of space from the tire. It also allows some literal “wiggle room” as you’re pumping. I’ve counted on solid (non-hose equipped) mini pumps for years. They are adequate but harder to use because you need to be careful not to damage the valve while pumping. The ALX all but eliminates this concern. An included valve adapter hides inside one end of the pump. 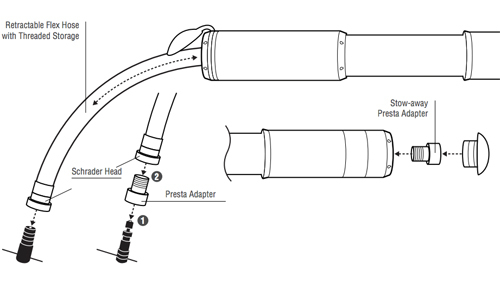 You screw this adapter onto a common Presta road bike tire valve. The solid, screwed-on connection, plus the give of the flexible hose, lets you pump without concern of valve damage. Made of aluminum, the Planet Bike pump is built to last. It comes with a bracket that bolts under a water bottle cage and holds the pump stored out of the way. I keep my ALX in a backpack or stashed in my jersey pocket. 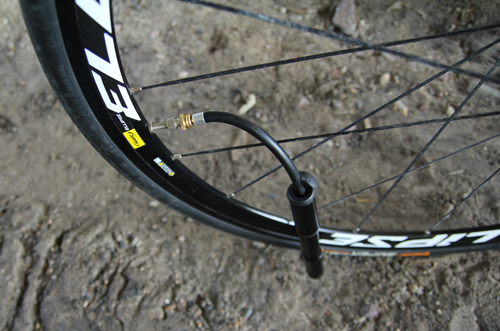 It’s there ready to help — its hose and adapter hidden inside — when I hit a crack or other unfortunate bump in the road.